The stairs to the Craftsman's Gallery are through the doors on the half landing on the way up to the Grand Hall. This section was added much later than Adam's design. Hanging from the roof of the stairway you will see a pair of magnificent electroliers. These were the gift of the Trust from Mrs Marjorie Mathieson, widow of ex-Deacon Convener James M. Matheson and Late Preses of the Grand Antiquity Society of Glasgow. 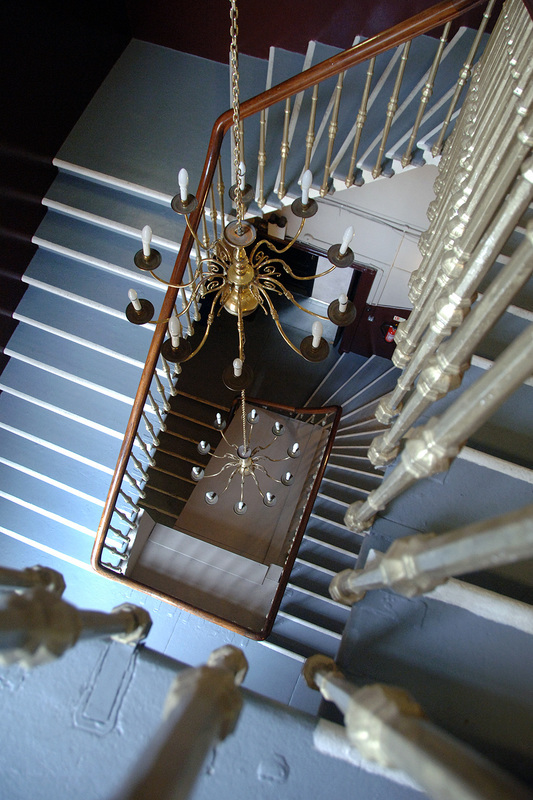 View looking down the stairwell from the Craftsman's Gallery.